What’s the reward points value scale? A rewards credit card can’t be evaluated solely on the basis of its rewards points earning set against its annual fee. The latest hot potato centres on credit card annual fees, and whether it’s worth paying more for a card with rewards points. Cardholders can extract hundreds, even thousands of dollars of value from the complimentary benefits. So when misinformation about a topic close to our financial hearts is endlessly repeated by financial product websites and news media, it can assume an air of credibility which it does not deserve. But first, what’s this hot potato all about? Headlines like ‘Bad news: 1 in 3 rewards cards aren’t worth the annual fee’ and ‘Spend $24,000, get $12: Credit card rewards now virtually worthless as value plummets 96 per cent’, are based on ‘research’ which casually ignores the value of complimentary benefits regularly attached to rewards cards. One news site states that ‘a comparison site found on more than half the cards it analysed consumers need to spend at least $2000 a month to cover the annual fee and for the rewards to be worthwhile’. It goes on to imply that only low-fee or no-fee cards, from providers other than the Big Four banks, are worthwhile. The reality is that banks are not stupid. They pitch their rewards credit card annual fees at a point where they can make a profit–yes–but also so that it reflects the value-add of the card benefits. If it took $24,000 of annual spending in order to break even (as the “research” says), the bank’s customers would desert them in droves. We say it’s time to do away with this misinterpretation, and take another cool-headed look at the numbers. *The American Express Essential and Explorer card calculations are based on current redemption rates, which are due to change from 15 April 2019. Looking at the figures in the tables above, it certainly appears that owning an expensive rewards credit card is like being on a hiding to nothing, and they make the overall value of the cards appear questionable. 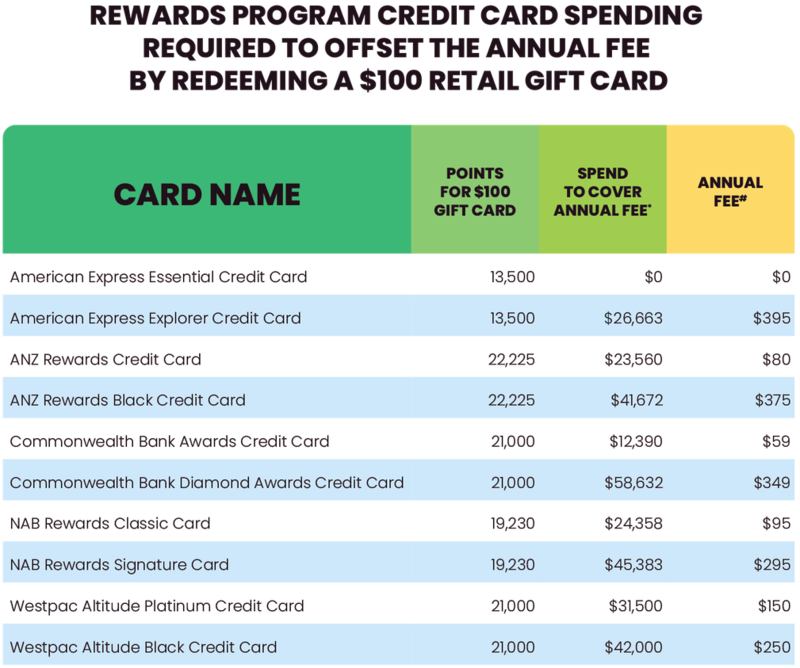 While the four frequent flyer credit cards in Table 2 require spending of less (in some cases considerably less) than $24,000 in order to recover the annual fee cost, the rewards points for gift card redemption in table 1 (with the exception of two cards), appears to paint a much grimmer picture. If we stopped here in our analysis, the fake news comments would be justified. OK, so what are these points actually worth? Gift cards or vouchers from national retailers are a popular form of rewards points redemption. BUT, contrary to what fake news would have us believe, a retail gift card isn’t the holy grail of redemptions. 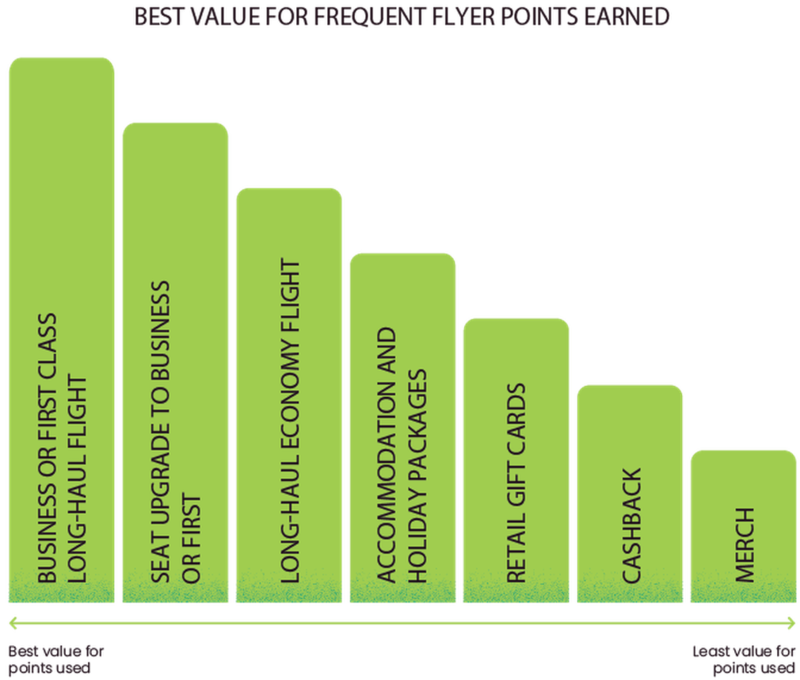 In the graphs below we show the best value for frequent flyer and rewards points earned. 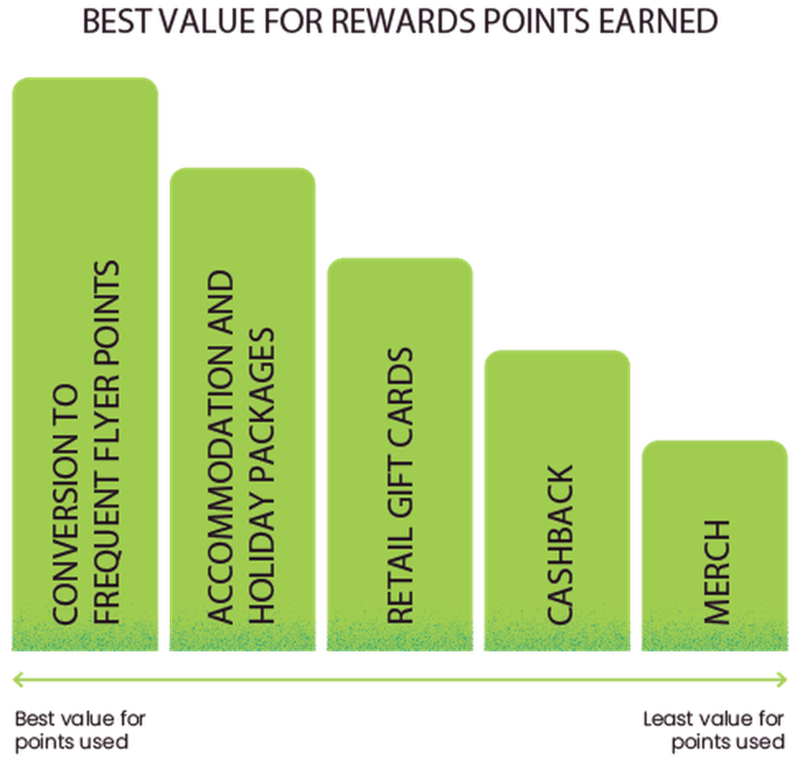 I know what you're thinking...How significant is this ‘best-value’ for points I’m talking about? This Kitchenaid kettle and toaster at the Qantas store is valued at 88,840 Qantas points. The same kettle and toaster from The Good Guys can be purchased for $382.00. 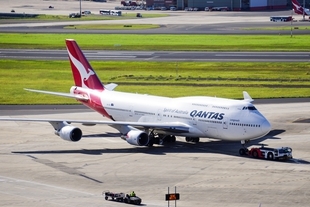 In comparison a Business Class return trip to Phuket with Qantas is roughly 90,000 Qantas points; in which the retail value of the flight can range between $3,000–$5,000. 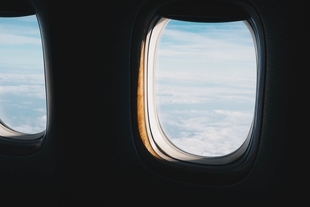 As a general rule, the best value per dollar spent occurs when the points are exchanged for award flights, either by earning frequent flyer points directly or by exchanging other reward program points for frequent flyer points. Using points to buy a toaster or coffee machine from an online catalogue is not far removed from making confetti out of ten-dollar notes. As usual, it pays to dig deeper. There’s far more to be gained from rewards points credit cards than simply recovering the annual fee. There’s a bonanza of extra points and benefits to be had. Merely considering annual fee recovery fails to recognise that the more expensive rewards cards invariably have a higher points earning rate per dollar spent. 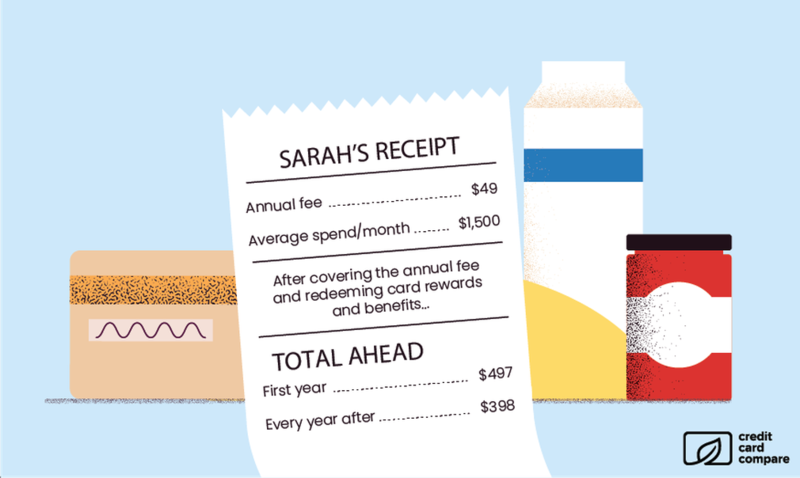 Once the annual fee is recovered, the potential to earn further points with a more expensive card far outweighs that of cheaper cards. 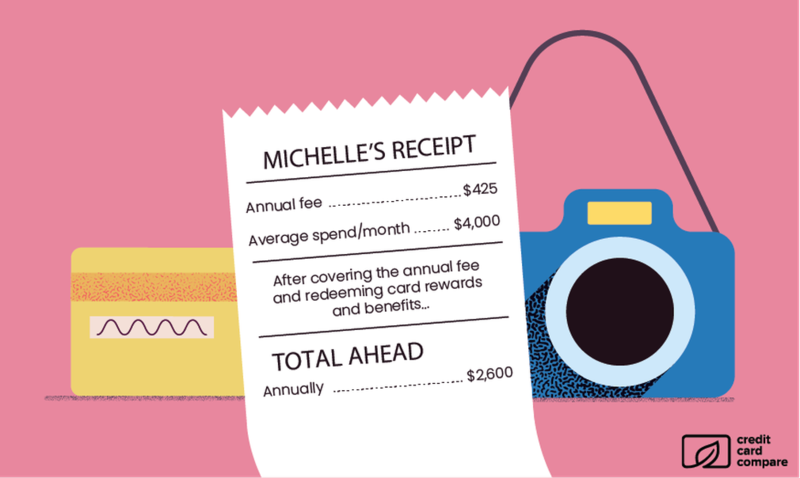 Anyone with monthly credit card purchases above $2,000 per month, who intends to avoid interest charges by paying off balances on or before the due date, can gain far more from a rewards card than from a ‘no-frills’ card without rewards points. And the more you spend, the more you’ll gain by upgrading to a premium card. It’s even possible to spend less than $2,000 per month and still come out well ahead with a rewards card. 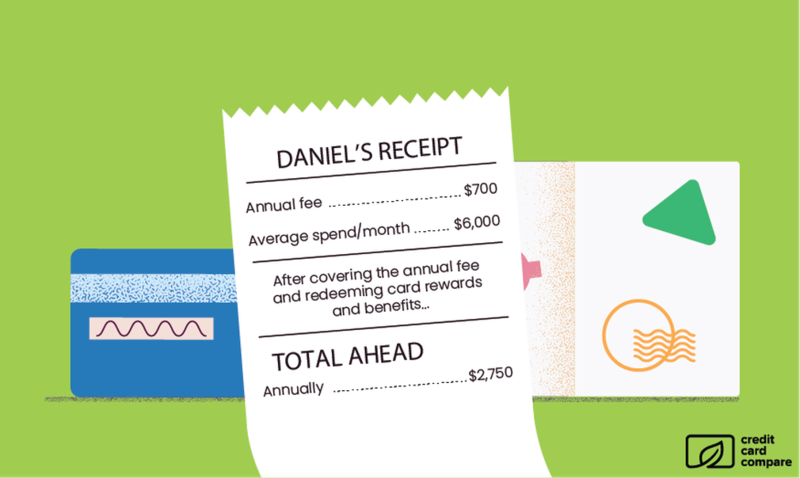 Truth is, there’s more to most rewards cards than mere points. Holding a premium credit card and not making full use of its benefits is a bit like paying for a home contents insurance policy but not making a claim when someone breaks into your house. 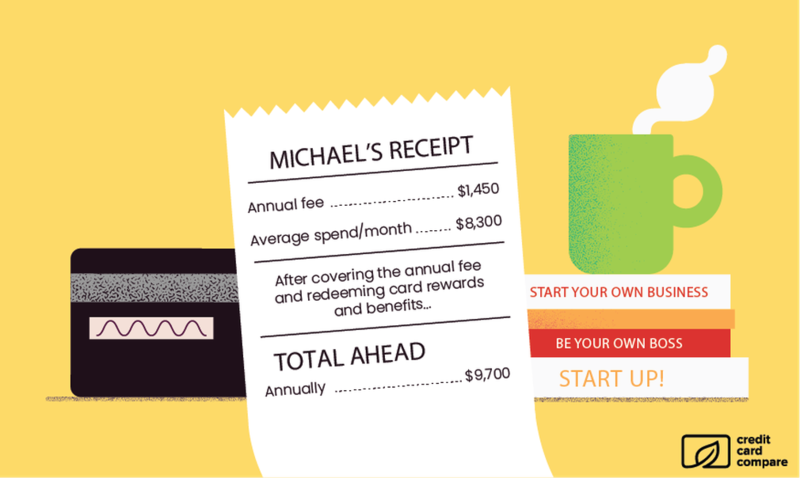 Most rewards credit cards are packed with value over and above the rewards points. 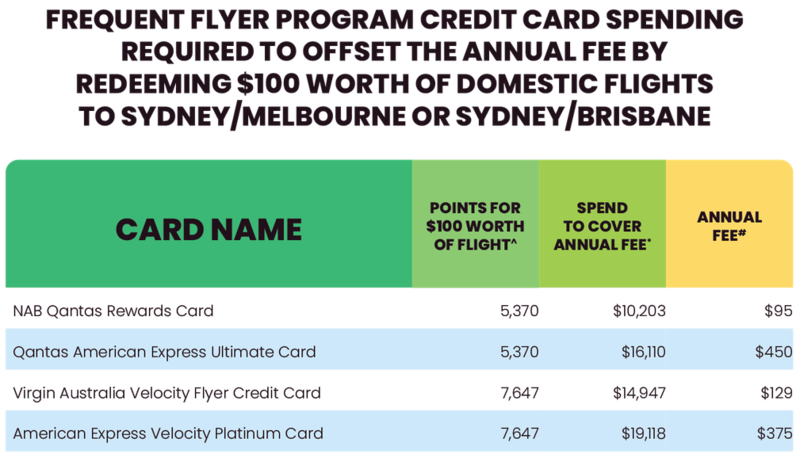 ‘Net’ value is derived by calculating how many points would be earned based on an average annual domestic spend of $20,000, then calculating how many Syd-Mel return flights can be redeemed using these points. Net value is the rewards value minus the annual fee. Credit card holders shouldn’t be focusing on merely recovering the annual fee. What’s the point of even having a credit card, if your only aim is to break even by using it? 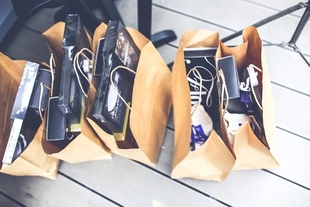 There’s much more to be extracted from a credit card. If you use your rewards points properly they easily outweigh the cost of annual fee. Credit card providers want you to travel interstate and overseas, and take your card with you. So they regularly provide both domestic and international travel insurance, free of charge. They might even tempt you further with airport lounge membership or passes, or even free flights or a cash credit redeemable against your travel costs. They also want you to make major purchases using your card, so they offer protection against loss, theft, and damage, plus extended warranty and lowest price guarantee schemes. They want to woo you away from your current card provider, by giving you heaps of bonus points or annual fee discounts or cashback when you are a new customer. All of these benefits are a much better way of determining the value of your credit card, and they can be worth much more than the points. A typical multi-trip overseas travel insurance policy for a family is worth at least $500, while the corresponding domestic travel cover adds a further $230. A couple of airport lounge passes are worth at least $110, annual membership even more. And even if you only make a claim on your ‘shopper insurance’ once every five years, it could be worth an average of $100 per year. 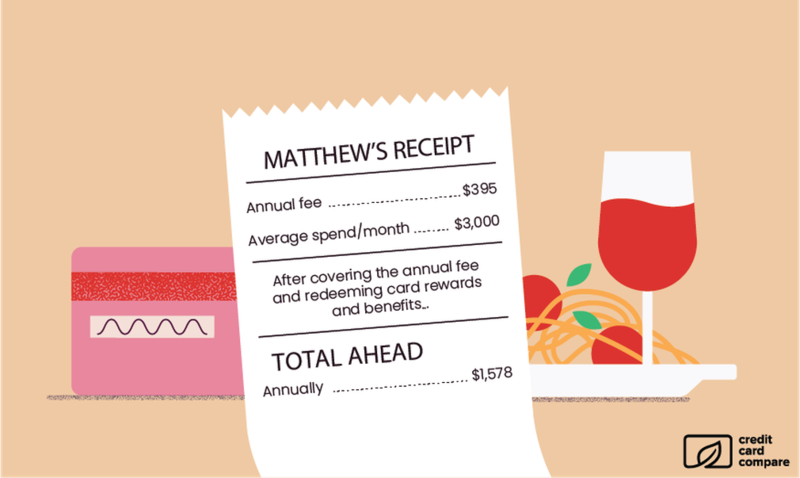 These are all typical benefits found on premium rewards cards, and they add up to a staggering value of $940 per year. That’s before counting any ‘welcome aboard’ perks like bonus points. Net value is most definitely NOT just the rewards points value minus the annual fee. Let’s take a look at five hypothetical case studies we put together to demonstrate the true value of rewards credit cards. She spends $750 per month at Woolworths, about $100 of it on Woolworths brand products and another $100 at Woolworths group stores like Dan Murphy’s and Big W.
From all of this, she earns 2,450 points per month, 29,400 points per year. Her points are worth $147 in Woolworths shopping vouchers, leaving her with $98 after paying the $49 annual fee. In the first year, there’s an annual fee waiver plus she will earn a $50 gift card, putting her $197 ahead. And if she makes a big Woolworths shop of $250 once per month on a cardholder 10% discount day, she’ll score an extra $25, 12 times per year every year, a total of $300. That puts her ahead $497 in the first year and $398 in every subsequent year. Full disclaimer-this calculation is based on current American Express earn rates that are due to change from 15 April 2019. His $36,000 annual expenditure (none of it with government bodies) earns him 72,000 points, which he can choose to exchange for $533 worth of retail gift cards. Or he could exchange his 72,000 Amex points for 54,000 Velocity points, scoring about $706 worth of Sydney-Melbourne Virgin flights. Either way, he easily covers his $395 annual fee. He gets a $400 annual travel credit per year, which he uses when booking his overseas trip through American Express Travel. When travelling, he uses the card’s two complimentary single-visit passes to the American Express Sydney or Melbourne lounges, worth $110 per year. He also relies on the card’s complimentary travel insurance, worth $730, but doesn’t bother to use his ‘shopper insurance’. His smartphone gets a good workout and is often dropped, so he relies on the complimentary smartphone screen insurance to replace his screen at least once a year, saving him $200. Even if he chooses gift card redemption for his points, he’s now ahead by $1,578 every year. In the first year he will earn 100,000 sign-up bonus points, adding a further $740 to his benefits. She already has more than 300,000 QFF points accumulated from interstate and short-haul overseas trips paid for by her employer. She spends around $4,000 per month using her card, increasing that total at the rate of 48,000 points per year. Once she has accumulated 512,000 points she can redeem them for two business class return flights to London, worth a total of $21,040 net of taxes and charges. This makes each point worth 4.1 cents, so her 48,000 points are worth $1,968 per year. She doesn’t even blink at the $425 annual fee. She also takes advantage of: two Qantas Club lounge invitations annually plus full membership of Veloce lounges ($250), travel insurance ($730), and ‘shopper insurance’ ($100), adding a further $1,080. She is ahead by more than $2,600 every year after paying the annual fee. In the first year she’ll also receive 120,000 sign-up bonus points (worth a fantastic $4,920 in the way she uses them), $150 cashback, and 75 bonus QFF status credits to add to her existing collection. $7,000 on all other expenses. From this spending he earns 172,000 Citi Rewards points. He could exchange these for retail gift cards worth $825, but he prefers to extract more value by exchanging them for 57,333 Singapore Airlines or Emirates air miles. But he’s already $125 ahead with the gift card option, after paying the steep annual fee of $700. Asia Pacific airport Meet & Assist ($250). There are also golf course fee waivers and many other privileges which are difficult to put a price on, but those already listed add up to $2,625. So, including his retail gift cards, Daniel is $2,750 ahead annually, more if he converts his points to air miles. But in the first 20 months he’s going to get 400,000 bonus points ($1,919 in gift cards) and, if he can be bothered, an extra 10,000 points ($47) for requesting and using (once) the free accompanying Diners Club card. That’s over $8,850 in rewards and benefits over a two-year period, in exchange for $1,400 in annual fees. The card earns American Express Membership Rewards in the Ascent Premium Membership tier, opening up a whole new world of privileges. $30,000 on all other expenses. He earns 162,500 Ascent Premium points, which he exchanges 1:1 for Qantas Frequent Flyer points (or Velocity, Singapore Airlines, Emirates, Etihad, Thai Airways or Virgin Atlantic points). He extracts at least 4.1 cents from each point by flying long-haul business class, even more when he flies in First. So his points are worth $6,663 per year. A plethora of other privileges he might or might not use. Overall his points value plus benefits value totals more than $11,150, putting $9,700 in Michael’s pocket every year after he pays the card fee. He may not even notice the 80,000 bonus points ($3,280) he receives in the first year. At Credit Card Compare we are experts at analysing every aspect of using credit cards. We don’t take the blinkered approach of calculating ongoing points earning while ignoring the complimentary benefits delivered every year, as well as those that can make the first year particularly rewarding. We do this because we want YOU, the consumer, to find the best credit card for you, so you can live the life you want–with benefits! Choose a credit card with rewards and complimentary extras that suit your spending pattern and lifestyle to reap monetary advantages well in excess of the card fee. Note: the case studies displayed in this article are hypothetical and not based on real people. The numbers depicted in these case studies have been based on approximate spend and card usage. I'm the CEO and Co-Founder of Credit Card Compare. 1 part entrepreneur. 1 part credit card insider. 2 parts family man. 3 parts surfer. Too many parts?